We all do too much while taking too little time for physical, mental, emotional, energetic and spiritual nourishment. 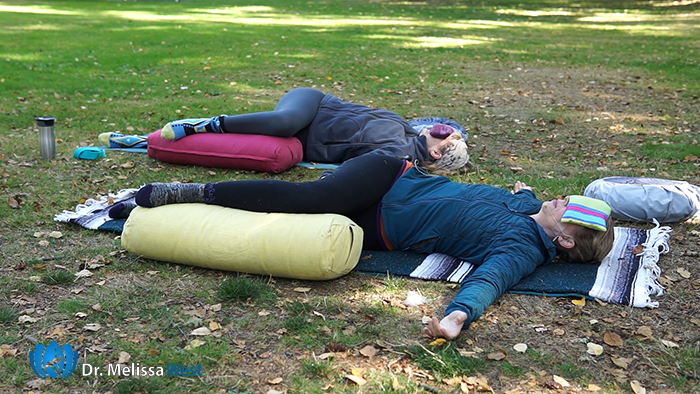 Restorative yoga gives us time to restore our energy. 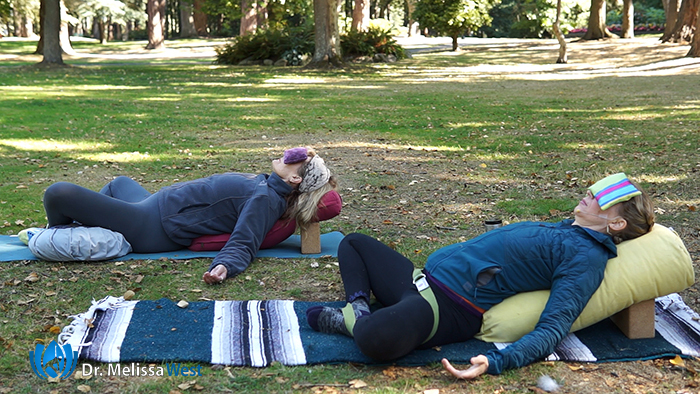 In restorative yoga we are practicing supported, passive yoga poses. 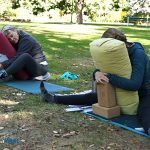 With the use of yoga props such as bolsters, blocks, blankets and walls your body is supported into a state of recovery. 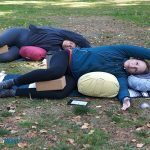 This is yoga for anxiety and stress relief. 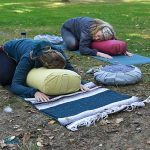 When we take the time to restore our energy, our stress hormones, particularly, cortisol lowers and we will experience more energy, deeper sleep, healthier menstrual cycles, better moods, and easier menopause. It is not uncommon for us to outspend the energy that we have. We are often holding down stressful jobs, maintaining relationships, caring for our families, trying to exercise and maintain a fulfilling life. We are constantly trying to meet the needs of our families, our bosses, our friends and our own high levels of expectations. We hear our bodies begging us to slow down but we do not know how to stop. We do not know how to stop running, pushing ourselves, and overreaching. So we keep going. It is easy to blow through more of the energy that we gain from sleep, exercise, nutritious food and good company. We are constantly dipping into our energy reserves. The result is that we feel exhausted and even fragile. It takes a lot of courage to stop running, stop pushing, stop overspending our energy reserves and stop trying to please everybody. 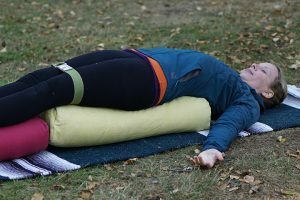 With restorative yoga we can begin to regroup and rebuild. We can learn how to expend our life force energy economically and efficiently. We can create balance in our life by nourishing our energy. When we take the time to slow down, we find we have a spaciousness and gain some energy back to enjoy our life more. 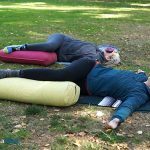 Restoring your energy, balancing those stress hormones and learning yoga is not something you can do in just one yoga video. Just like brushing your teeth, it is something you need to do everyday. 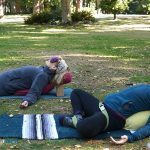 The best way I have learned to restore my energy and balance my stress hormones is to make yoga a part of my everyday life. I am going to share with you a good, better and best way to do that now. Best: The best way to make yoga a part of your everyday life is to join our membership community. 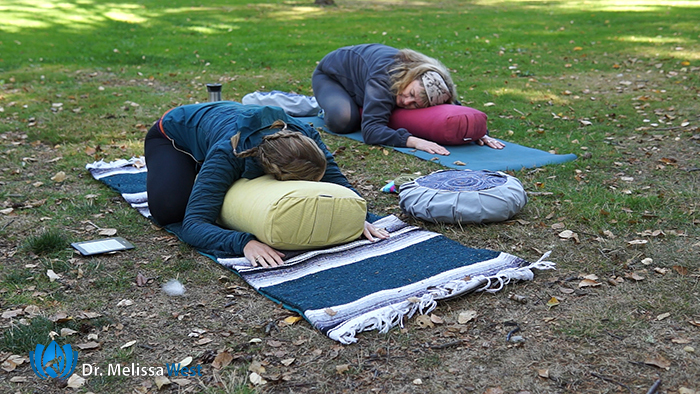 It is there that we can support you in making yoga a part of your daily life with our curated content in our DYC and We also have over 10 original, exclusive restorative yoga classes in our membership community for anxiety, digestion, spring, menstruation, adrenal glands and exhaustion, winter, illness, exhaustion, and back pain ranging from 18 minutes to 2 hours. 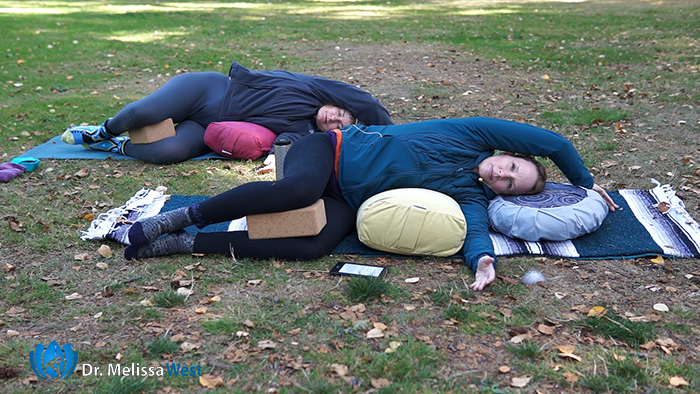 We would love to welcome you into our membership community where we keep our best value added content for our members and will support you in your restorative yoga practice.